You are here: Home » Tag "Injury Recovery"
The word “sciatica” can sound scary if you don’t know exactly what it is. I know from personal experience, having suffered from it during pregnancy. If you’ve landed on this page it’s probably because you are suffering from, or are worried you might have sciatica. First let me say, you are not alone. Your pain can likely be managed and sciatica does not have to be as scary as it seems. While sciatica is painful to deal with, it’s rarely a permanent condition and can almost always be treated non-invasively. Only severe cases require more in-depth treatment options. The best news I have is that you likely already have common tools within your own home that can help relieve your pain and heal your body. I was thrilled to find out that using the tennis ball massage to relieve sciatica pain is actually an option! But first I want to decrease your fear factor by explaining to you exactly what sciatica is, where it comes from and how we can heal it naturally. They go on to explain that sciatica is not technically a medical diagnosis but more so a symptom of other underlying medical conditions. Certain health issues can spark pain and pinching of the sciatic nerve in your spine, causing the spread of pain down your spine and into your legs. Sciatica can occur in people of any age, though it’s not very common in young children. 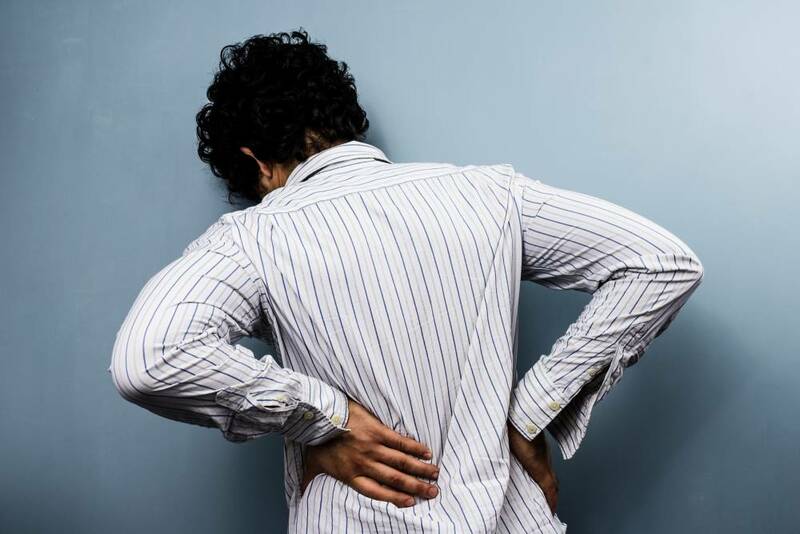 According to the Sciatica Authority, sciatica can occur in the younger population due to “congenital or early developmental issues, injury or some disease process.” Growing pains can also often be confused with or very similar to sciatica pain. Where is the Sciatic Nerve Located? The sciatic nerve is the largest and longest single nerve in your body. It stretches from the lower back down the back of the legs to the toes. The fibers of this nerve start in the spine and then gradually gather together to form the thickest part of the nerve. According to this video, the main part of the nerve is as wide as a man’s thumb. The sciatic nerve continues down through the pelvis and along the back of your leg, where it splits apart at the knee and continues down to your toes. 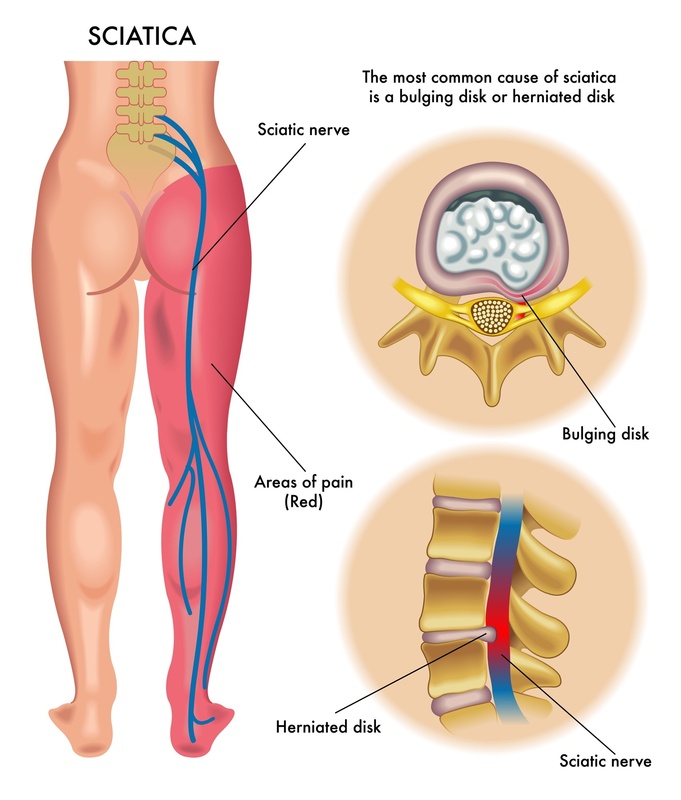 The close relationship between your sciatic nerve and your lower back, spine and legs explains why issues with these areas often result in sciatica pain. It’s amazing to think we have such a thick and long nerve running down the length of our body. The interconnectedness is so interesting and can make you realize how important it is to take proper care of this nerve. According to WebMD, lumbar spinal stenosis is the narrowing of the spinal cord in the lumbar area of the spine. It’s often caused because bones, tissues, or both, grow in the openings of the spinal cord, irritating the nerves within, such as the sciatic nerve. Another underlying condition of sciatica is spondylolisthesis. Spondylolisthesis can also affect the lumbar area of the spine, which in turn can irritate the sciatic nerve. According to Wikipedia, it’s often caused by a fracture but can also come on due to old age. Sciatica is, unfortunately, something I experienced during my second pregnancy. The shooting pain down my buttocks and leg was excruciating and the only relief I found was through home-based tennis ball massages. The pressure your body experiences on the spine and lower back during pregnancy can lead to back pain, pinched nerves and other types of muscle spasm. Many pregnant women experience sciatic pain throughout their pregnancy. As mentioned, always speak with your physician before attempting any self-performed treatments, especially during this sensitive stage. Lucky for me, as soon as my pregnancy and birth were over, the pain disappeared! Piriformis syndrome is another underlying cause of sciatic pain. Piriformis syndrome is when the piriformis muscle, located in your buttocks, starts to spasm causing pain in the region. Piriformis syndrome can also aggravate the sciatic nerve and bring about pain, numbness or tingling in the legs and back as well. According to WebMD, piriformis syndrome can be caused by repetitive trauma in the piriformis muscle. This trauma can be caused by repetitive motions like long-distance running or prolonged sitting. According to the Mayo Clinic, excess weight can cause additional pressure on the low back and spine which can contribute to sciatic pain. Old age can be another contributing factor to sciatic pain. Aging bones often bring about herniated discs and bone spurs which are major contributors to sciatic pain. 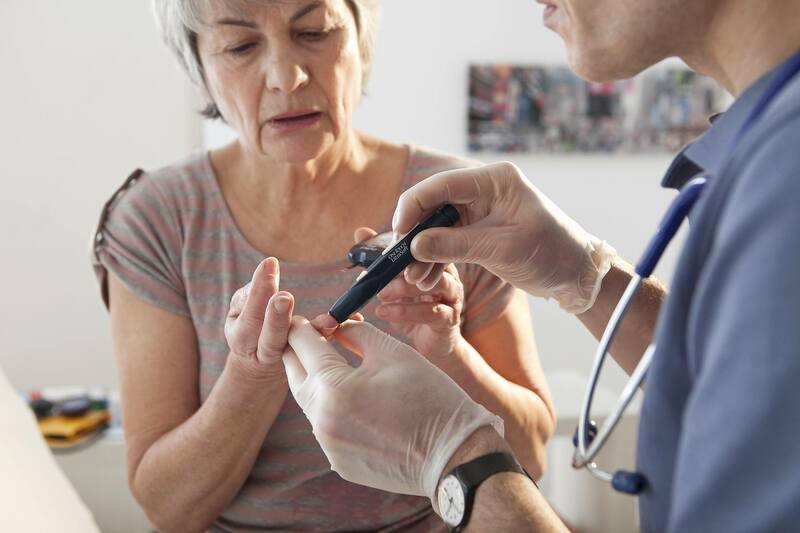 Diabetes also increases your chance of nerve damage. Now that we know what sciatica is and where it can come from, let’s talk about how to treat it. As mentioned, there are fortunately many non-invasive treatments for sciatica pain and rarely is invasive surgery required. All these treatments can have a major positive impact on the length of time you’re stuck dealing with this pain. While you can also request pain medication, I suggest going to the source and figuring out a way to heal yourself safely and naturally. Something very important to keep in mind is that the sooner you address the underlying issues and the symptoms, the better off you will be. Symptoms can definitely get worse quickly if left untreated. You also run the risk of injuring yourself further. So the sooner you can attempt therapy and treatment, the better. The main non-invasive treatment I want to discuss with you today is tennis ball massage. Remember I promised you’d have a pain relief tool right in your own home? Well, time to bust out the tennis balls. If you don’t have any at home, you can grab some cheaply on Amazon. 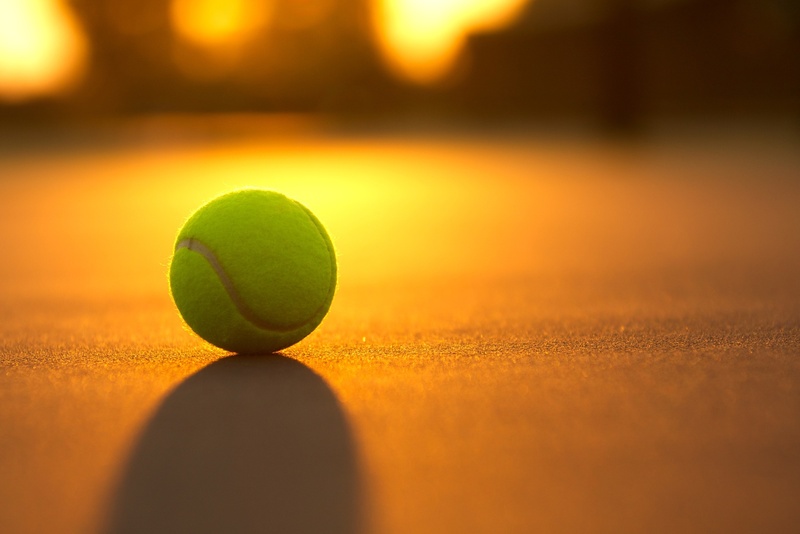 Tennis ball therapy incorporates the benefits of massage, acupressure and reflexology. Using the tennis ball tactic can help relieve muscle tension and soothe sore muscles. When it comes to sciatic pain, the tennis ball focuses on your piriformis muscle which is situated very closely to your sciatic nerve. The weight of your body on the small tennis ball allows it to directly pinpoint certain sections of your muscles. Pressing into these pain point causes the muscle to relax and release. It can be a slightly painful but gratifying process. It’s kind of like when you get a shoulder massage and you cringe because it hurts so good. The greatest part about tennis ball therapy, aside from the pain relief, is that it’s inexpensive, easy and can be done in the comfort of your own home. Now before I continue, I want you to remember that before self-diagnosing, performing any exercises or attempting any treatments, always consult with your doctor. When cleared by your physician or physical therapist, tennis ball massage can be very beneficial in helping you heal your sciatic pain. Keep in mind, if you do feel a pain point, the pain should not be too strong. If it feels strong or unbearable, adjust the ball or add more balls to get rid of that direct pressure from a single ball. You’ll want to compress every trigger point you find for 10 to 15 seconds before moving on to the next spot. Another option is to just roll around gently back and forth over top of the pain area. If you want to see a live demonstration in action, you can find plenty of YouTube videos on tennis ball massage. There are plenty of personal trainers out there eager to divulge advice on this topic. Sciatic pain relief isn’t the only benefit you’ll encounter when it comes to tennis ball massage. Tennis balls can also be used as a pain relief tool for lower, middle and upper back pain. It doesn’t stop there, you can also use a tennis ball to massage your feet, hips, thighs and knees as well. Another major benefit of tennis ball massage is that it’s completely mobile. You can take those things anywhere! Stick it in your briefcase, backpack or purse to have round-the-clock pain relief. This extremely inexpensive therapy is a major benefit, especially in the day and age of crazy healthcare costs. You don’t even have to spend money on gas to travel to a doctor or physical therapist. Just lay down in the comfort of your home and get to work. 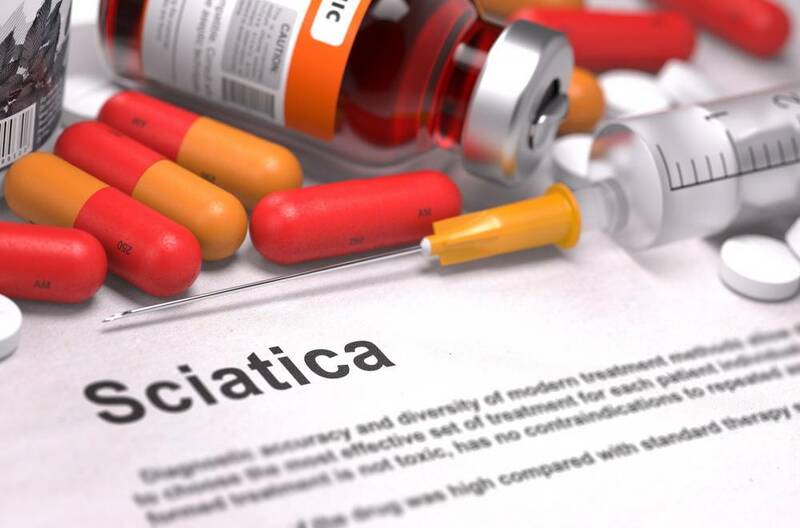 Other non-invasive treatments for sciatica include things like acupuncture, chiropractic work, pain medications, heat/ice therapy, physical therapy, mild yoga practice and more. The great news is that many of these treatments are all-natural and non-invasive. So while your pain might seem severe and like it needs some serious work, you can normally find relief through all-natural resources, which I love! Again, only in severe cases would you have to consider an invasive surgical treatment. In most cases, with non-invasive treatments, sciatica pain can often be relieved within a few days or weeks. As you can see, tennis ball massage can be a fantastic way to relieve sciatica pain. Not only is this therapy option cheap, it’s also convenient and private. You don’t have to pay for a massage therapist or leave the comfort of your home to gain relief. You should take care when performing a tennis ball massage. Ease into it, invite the pain points and work gently to release them. Have you ever used tennis ball massage to relieve sciatica pain? How did it work for you? Tell me in the comments! I’d love to hear any experience you can share. Many people wait for an injury in their life to seek out massage therapy. Those that have car accidents are a typical example, wanting relief from whiplash and other accident related injuries. Massage therapy is an excellent choice to assist you in healing from a car accident. After an accident, people are most likely to feel like they have the flu or describe the symptoms as feeling like they got hit by a car. Weakness in the neck may also be felt due to whiplash. Whiplash is the sudden jerking of the head, backward and forward, that is felt during impact of the vehicle. The symptoms: pain and aching to the neck and/or back, pain in the shoulders, pins and needles to the extremities (arms and legs), and headaches. The symptoms may be felt immediately or not show up for several days. The precise mechanism of whiplash is not known but it is thought to be caused by stretching and possibly tearing of the ligaments of the spine. Massage can be very beneficial in treatment of this injury. Often times, clients are referred to a therapist by a chiropractor or other medical provider for a certain number of massage therapy sessions. A safe environment for auto accident clients is extremely important. Sometimes their life is turned upside down by this injury and they are unable to live their life as normal, which in itself can be quite stressful. A therapist who attends to a client with any type of accident related injuries will assess the areas of injury for range of motion, elasticity and pain tolerance. The therapist should always be aware of the restrictions in their movements and also the tenderness of the areas to be massaged. This is where the communication factor comes in. They will constantly check to ensure that they are within your comfort boundaries. Communication from the client is also paramount to the success of the massage. Massage helps with these types of injuries due to the fact that it increases circulation (blood supply) to an area thereby giving it the nutrients it needs to heal properly and rids the area of waste products. It can also increase range of motion, reduce sprain and swelling, reduce stress, and may help to prevent scar tissue. It can help your body regain its balance from the stress of the accident by balancing your autonomic nervous system, thereby reducing stress. I have been on both sides of the “table” so to speak as a therapist and a car accident victim. I was in a car that was rear ended in 2005 and had whiplash which resulted in devastating headaches. I also had lower back pain and referred shoulder and arm pain. I immediately began a regiment of chiropractic adjustments as well as 2 visits to a massage therapist per week. I had a wonderful therapist and she was always very empathetic as well as patient with me during our time together. She was always careful to ask about my pain level in each and every area that she touched. I was unsure of massage as I had never had it when I was in a healthy state. Needless to say, I was a bit skeptical of being touched in an injured state. It was one of the most wonderful experiences that I have gone through to date. There’s something about a caring person with amazing skills and a gentle touch to soothe an injured, stressed muscle. Gradually I began to see results and looked forward to my sessions with my therapist. No wonder the ancient Chinese, Egyptians, Greeks and Romans included massage in their daily life! Massage so fascinated me that I went to massage school and became a therapist. Now I not only have the benefit of getting massages but also giving them. I enjoy seeing the progress that my clients make as a result of our work together. The bottom line is that if you have had an injury of any type; please seek out a qualified massage therapist so that together you can regain your balance. If you don’t know of one, ask your medical provider or your friends and neighbors who have had massages. 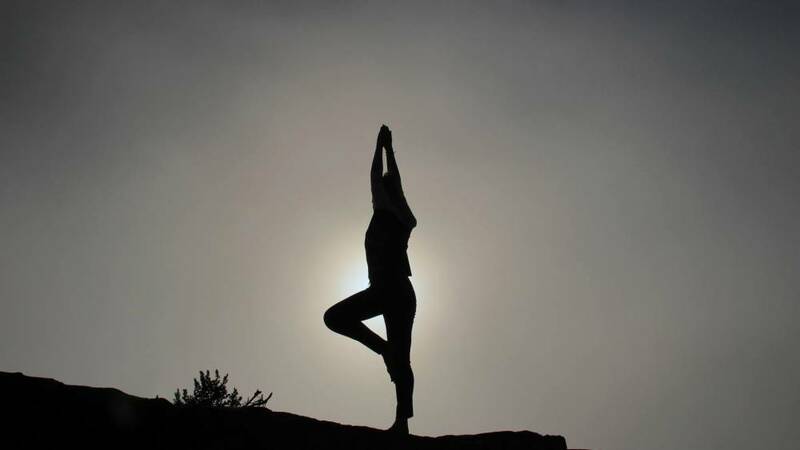 The calm and healing that it will have on your body will be most beneficial to both your mind and your body.